Better late than never. One of my co-workers emailed this blog to me while I was out of the office. As I am a HUGE advocate for customer service, I had to share this with you. This post is from the blog This Is My Yacht by Eric Goldring. He posted this on April 3rd right after there was a fire on board the Azamara Quest. Over the past months I have been on a bit of a roll complaining about how cruise lines, even luxury lines, have treated its passengers (who used to be treated as “guests”) looking at their immediate bottom line rather than the long term one. Royal Caribbean brands seem to consistently step up and do the right thing…and it pays off not only with the effected passengers, but the cruising public and, importantly, travel agents. I wrote about a less drastic event in October 2010 involving the Celebrity Century (Ship Happens) noting Celebrity Cruises (a Royal Caribbean brand) was taking better care of its passengers than Regent Seven Seas was when the Regent Voyager became disabled. As you may know, the Azamara Quest had a fire in its engine room this past week resulting in a fire that, although extinguished within an hour, disabled the ship temporarily (and, while no passengers were injured, there were a few crew members hurt, one seriously). The ship eventually had one generator started (providing running water, lights and circulating air, among other services) and then one engine was able to be started allowing the ship to motor, slowly, to Sandakan, Malaysia where she now is undergoing assessment and repairs. Since the cruise was to end in Singapore on April 12, 2012, they were given the immediate option of either temporarily staying onboard until Tuesday or moving to a hotel at Azamara’s expense. A Future Cruise Credit equal to the amount they paid for this cruise is also being provided. But – and this is important – imagine the cost of the “black eye” if Azamara Club Cruises hadn’t done right by its guests….not only with its passengers, but the cruising public and, to be sure, the top travel agents. Oh, and by the way, Azamara Club has been excellent in keeping the public informed of what has been going on. Posts on its website, posts on its Facebook page and, of course, direct contact with the media. Open and as transparent as reasonably possible. All of this, to my mind, creates confidence in a brand when intuitively one would think the opposite. I have been proponent of Azamara Club Cruises because of its service levels, very interesting itineraries, fairly inclusive nature (included gratuities, soft drinks, water and coffees, wines with meals, etc.) and cuisine. While it standard cabins are small, once you get to the suite level things are more than adequate for a near luxury experience. But most have been pretty resistant to my suggestions of Azamara Club offerings. 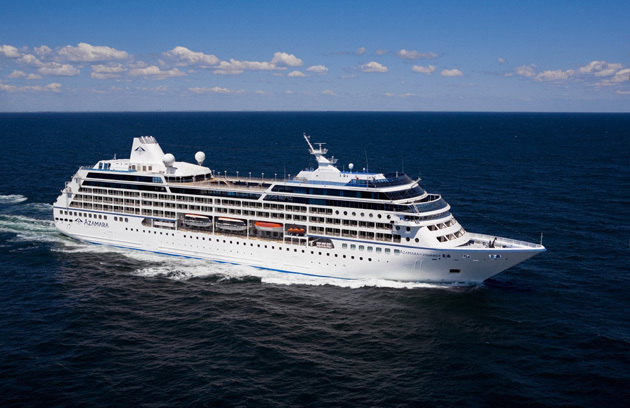 One of my clients – who just booked another luxury cruise with Goldring Travel – recently recalled her Azamara Club cruise as “an amazing time“. With a cruise line that shows it values you as much as Azamara Club Cruises just has during this recent unfortunate episode, don’t you think that you just might want to put in on your radar? It has been on mine! Previous PostAzul Beach Hotel – Food!